In black-and-white terms, the Oxford Dictionary defines an organisation as “an organised group of people with a particular purpose, such as a business or government department.” This definition allows us to simplify organisations into three broad types with different purposes – For-profit organisations (FPO), Not-for-profit organisations (NPO), and Government organisations or agencies. Whilst the Comprehensive Case Framework is geared towards for-profit organisations, the same thought processes can be applied to other organisations if the core measure of organisational success is considered. Different organisation types, their purposes and their core measures of success are shown in the figure below. The following sections will briefly delve into each broad organisation type, which will provide a useful segue into the profit motive and the nitty-gritty of diagramming. Publicly Traded: Any organisation that has publicly trading stock. These can be microcap companies with a market capitalisation of a few million dollars and shares worth pennies, to the Googles, Apples, and Exxon Mobils of the world, with market value of several hundred billion dollars, and stock price in the hundreds. State-Owned: These are typical natural monopoly organisations, like infrastructure and utility supply. These organisations have a dual purpose of revenue generation and provision of an essential service. Now that that’s out of the way, we can move on to the main driver of the framework – the profit motive. Ansoff, I., 1957. 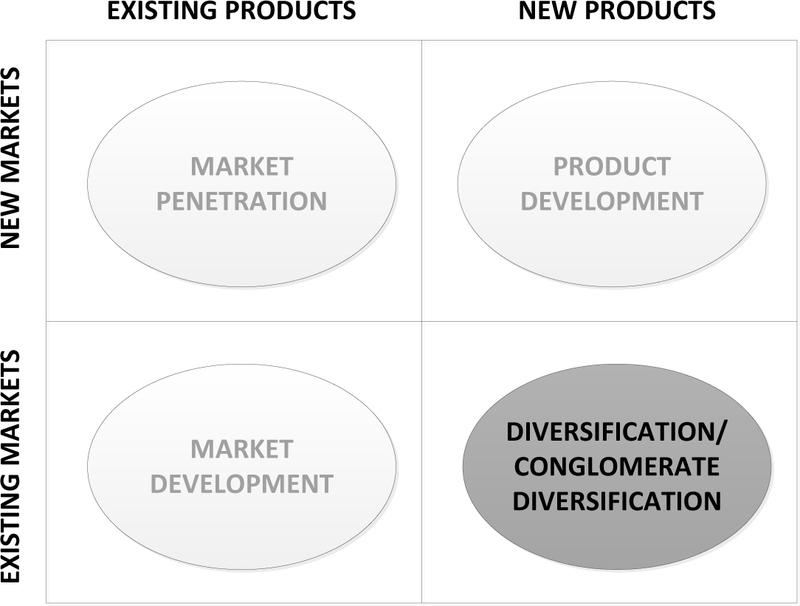 Strategies for Diversification. Harvard Business Review, 35(September – October 1957), pp. 113-124.